It's Christmas morning, and Mickey is ready for the big day in his colorful new PJs. 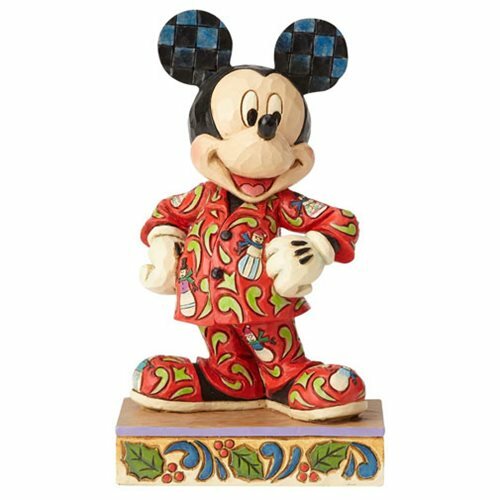 Made of stone resin, this fun-filled Disney Traditions Mickey Mouse in Christmas Pajamas Magical Morning Statue measures approximately 5 1/8-inches tall on his matching base. He and the Disney Traditions Minnie Mouse in Christmas Pajamas Statue (sold separately) make a great gift combo!